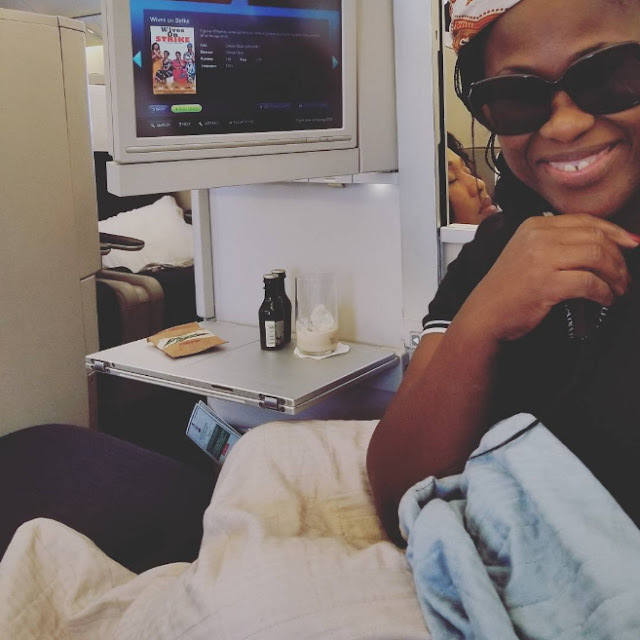 The Nollywood actress and filmmaker has been in the US for sometimes now for the premiere of epic Bini movie Esohe. 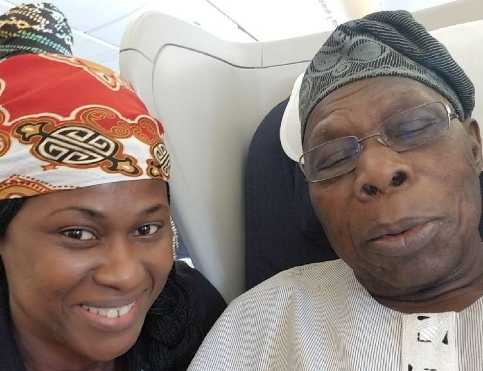 Uche Jombo was privileged to board the same British Airways flight with ex-President Olusegun Obasanjo while returning to Nigeria. 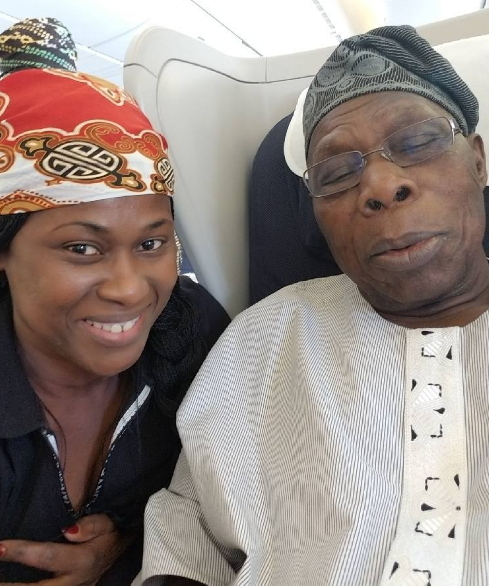 Proud of that encounter, Uche Jombo took her official Instagram page @uchejombo to share her selfie photo with OBJ with fans. Baba Iyabo slept off or something???? The pic is a comic relief. Tell me, which of the duo is a better actor? You are doesn’t knowing wetin you are talk. Are you forgetment of Oshomole? Oshomole nose be like pig nyash. Even if he like make he marry the woman weyris fine pass away Lara Fortes, his pikin must wowo. Any need having a selfie with the cabals that run the nation aground..such memories wont auger well over time. confirm photoshop! make u na stop insulting baba obj afterall oshomole no fine but see fine africa oyibo wey gree marry am.